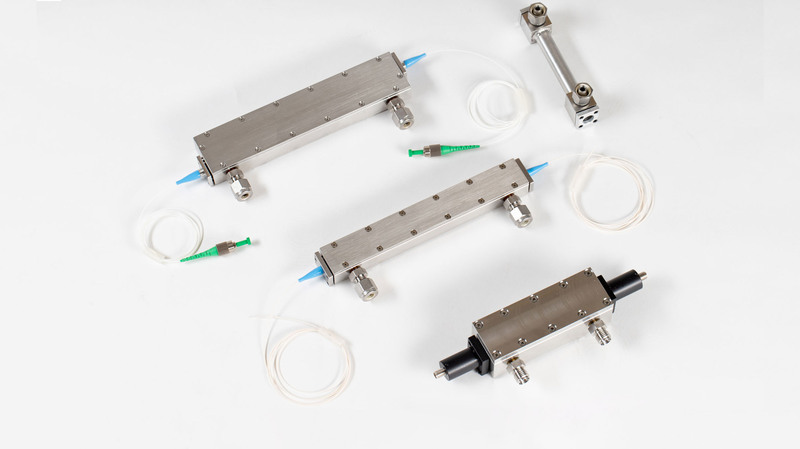 Wavelength References Flowcells allow for through-flow laser-based gas interrogation in a variety of configurations. All flowcells are constructed with 316 stainless steel for minimum corrosion and water vapor adsorption. Swagelok® tube fittings for gas inflow and outflow are 1/4” standard, though 1/8” is available as are hose barbs. You can use the product table below to purchase one of our standard models online or contact us with any custom requests. Our current online purchasing system does not support volume pricing. If you are interested in purchasing 10 or more of the same flowcell model, please contact us directly to receive a volume discount.